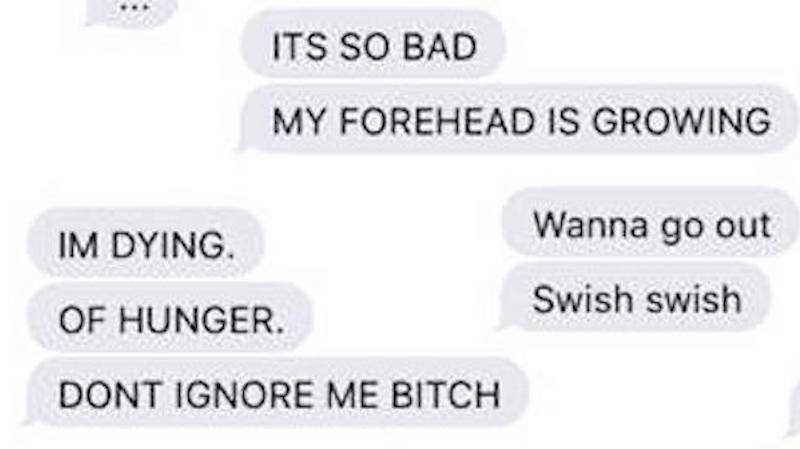 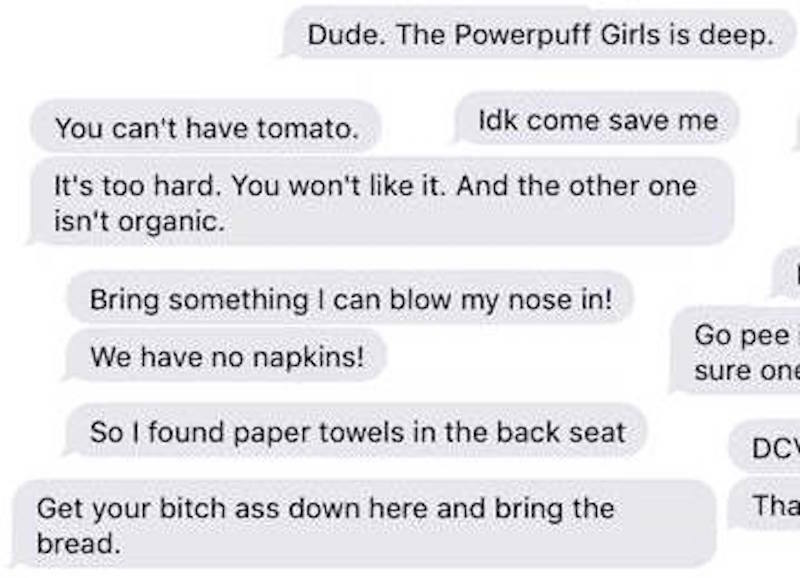 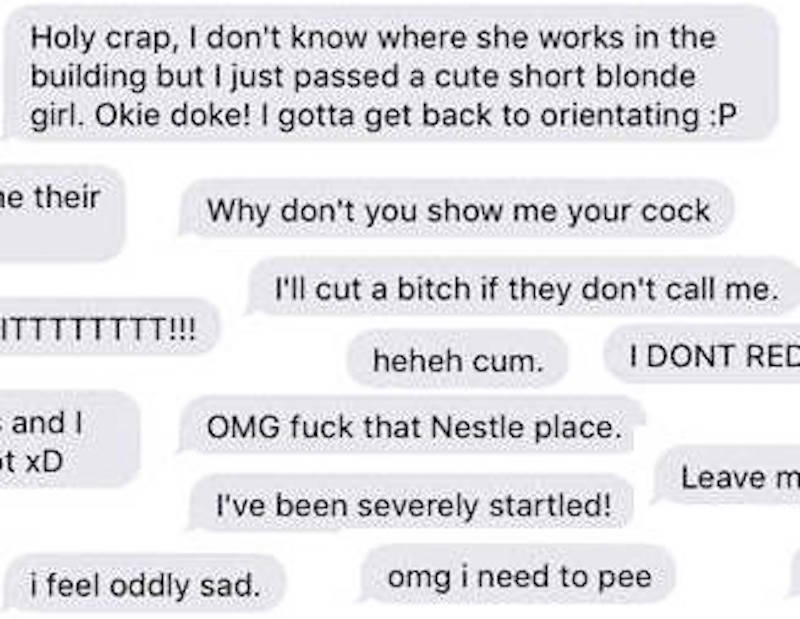 A man shared his wife's texts from the last year and they are somehow strange, boring, and hilarious all at once. 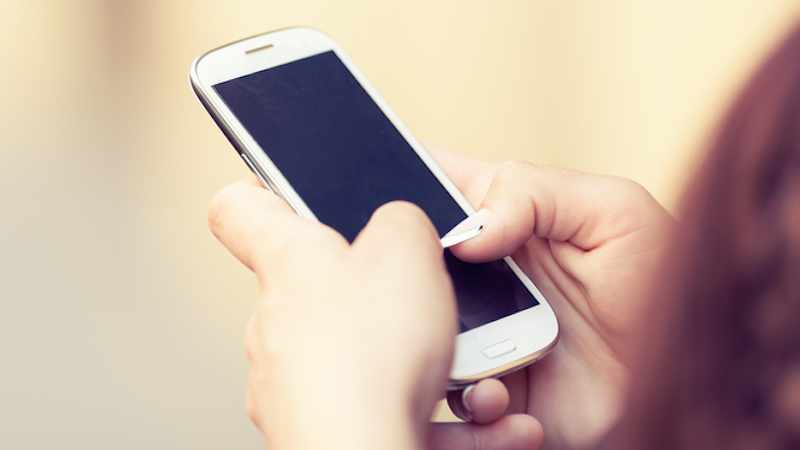 Many modern couples text a lot—sometimes about important things, often about nothing at all. 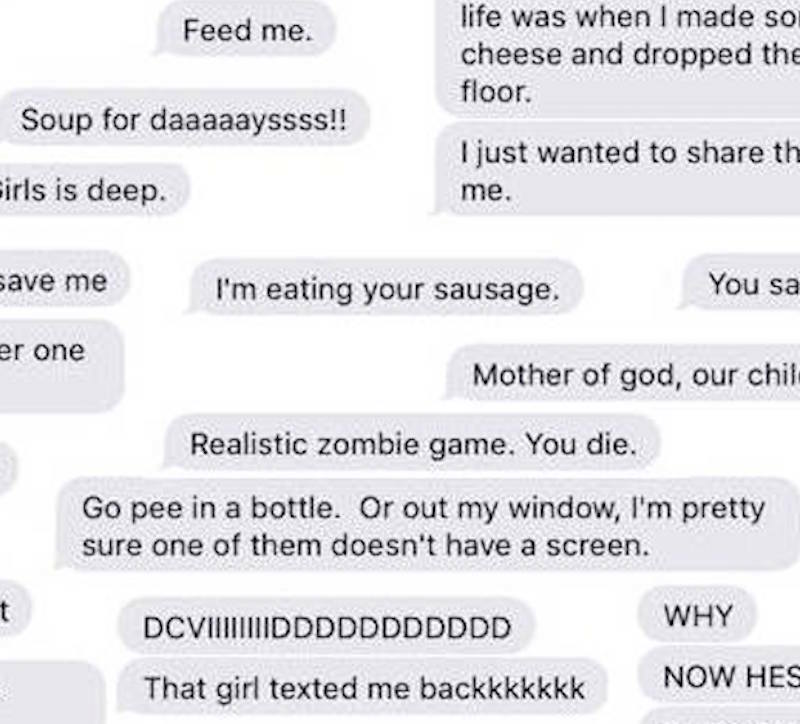 Reddit user davidvanbeveren—identified by Daily Mail as David Van Beveren of Portland, Oregon—compiled a few "random" texts his wife sent him over the course of a year, and for the most part his selection exhibits the lighter side of their communication. 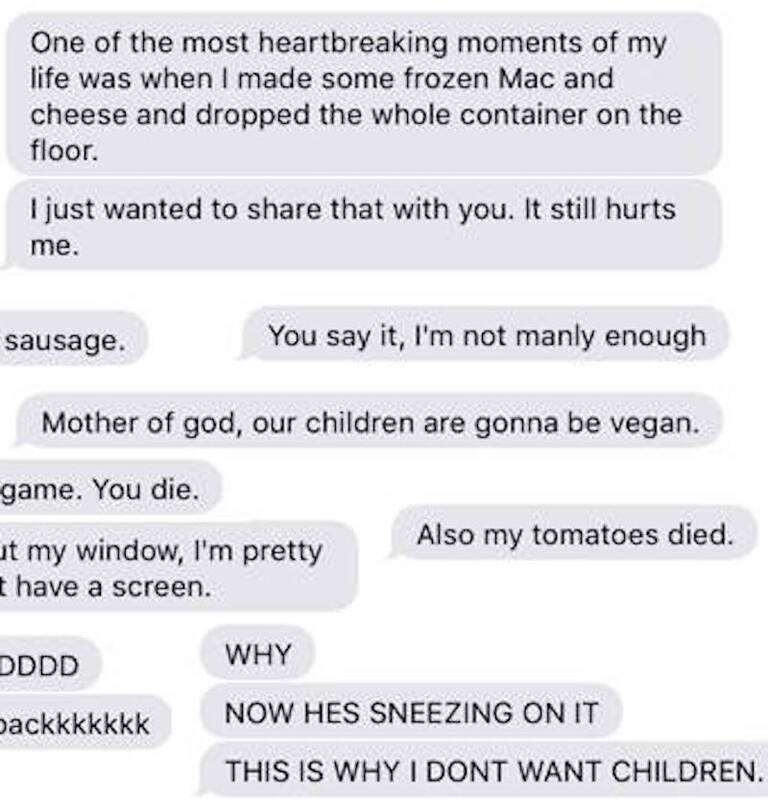 Samantha Van Beveren's texts to her 23-year-old husband are nonsensical and relatable. 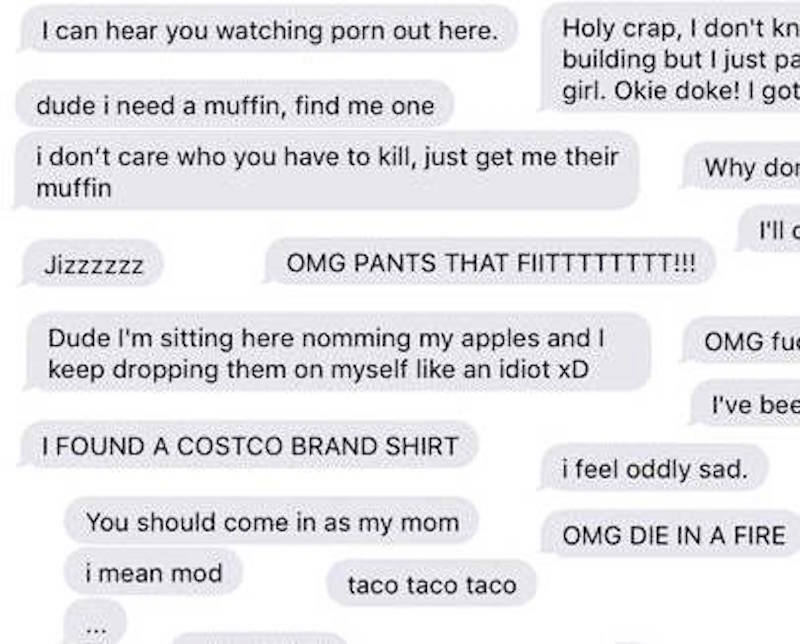 "i don't care who you have to kill, just get me their muffin"
"NOW HES SNEEZING ON IT"
Those aren't even all the random texts Samantha sent her husband over the last year. 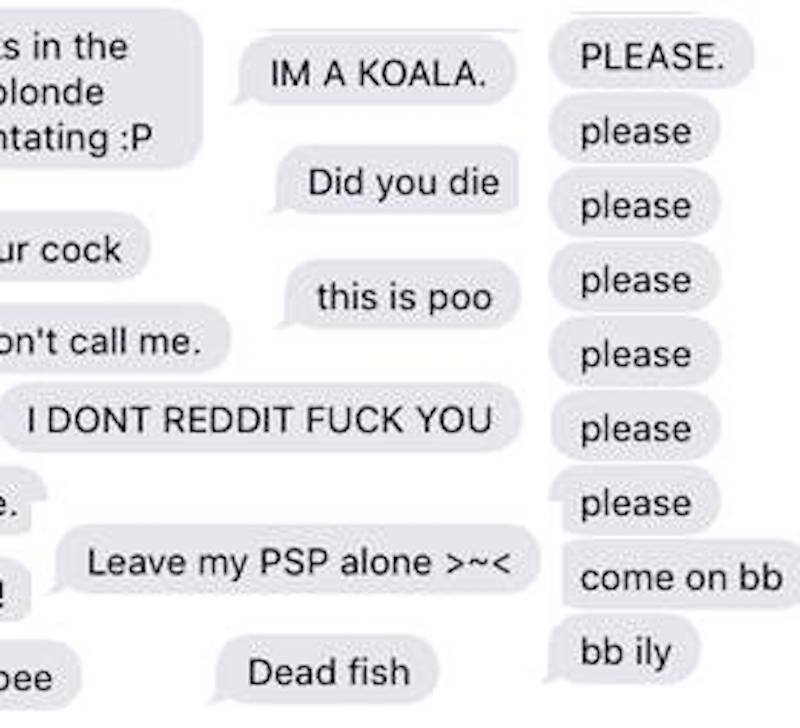 These are just "the good ones," he wrote on Reddit.